The ST600-KIPRO Controller connects to AJA Ki Pro over an IP connection. Control one Ki Pro or up to 4 over the same IP connection. 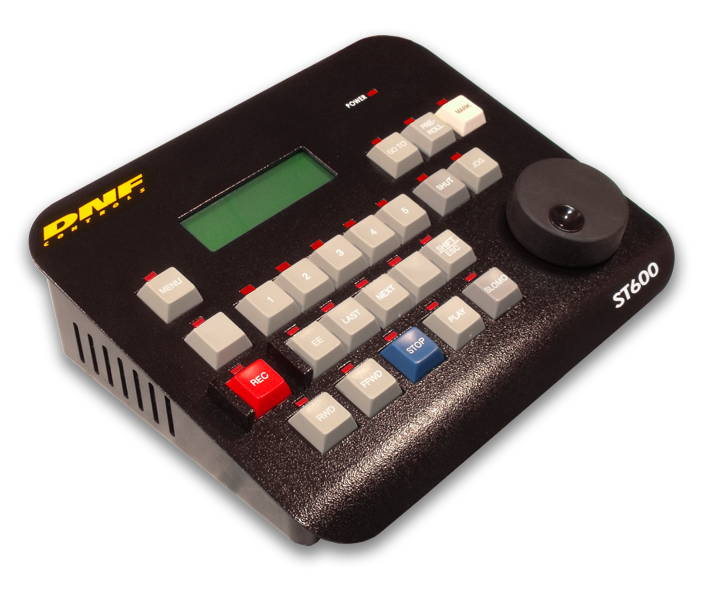 Using a standard web-browser, enter the ST600’s static IP address to access the ST600’s configuration web page and view the list of clips for the currently selected Ki Pro. Click on LOAD to load the selected clip, or enter a clip name and click on CREATE & RECORD to create a new clip and put the DDR into record. ST600 provides Record, Play, Stop, Fast Forward, Rewind, Jog, and Search to Time transport control. The ST600’s LCD display shows the currently loaded clip name and its current playback time. Press the MARK key to save the loaded clip name and current playback time into one of 20 cue point locations. Use the UP and DOWN arrow keys to scroll through the cue point locations. Press the GOTO key to load the saved clip name and then search to the save timecode position.